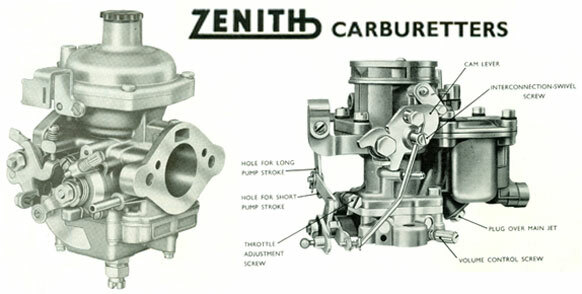 Found on classic cars such as Jaguar, Saab, Volvo, and others, the Zenith-Stromberg is a variable-venturi side draft carburetor. North American-bound Triumph's ands MG's were also fitted with the Stromberg. Inside the carburetor, there is a piston connected to a needle which slides inside the fuel jet. This is in contrast to the more common fixed-venturi carb, where varying air velocity in the venturi alters the fuel flow. The vacuum-operated piston has a long, tapered, conical metering rod. This rod fits inside an orifice, which allows fuel into the airstream as it passes through the carburetor. The movement of this piston controls the amount of fuel delivered, depending on engine demand. 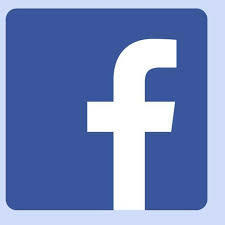 As the tapered needle rises and falls, it opens and closes the opening in the jet, which regulates the passage of fuel. The size and type of Z-Stroms are given in numbers and letters. For instance, numbers CD125, CD150 and CD175 are sizes relating to the choke diameter (1-1/4", 1-1/2", and 1-3/4"). They all look very much alike, but details such as throttle linkage will change from car to car. No special tools are required to remove and disassemble the carbs, but there are special tools needed to tune them. 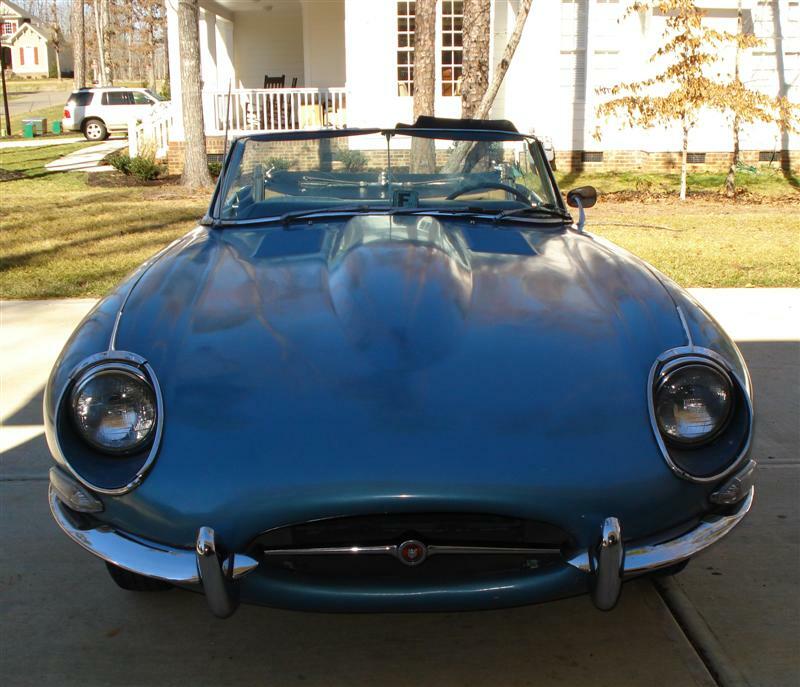 A service manual is essential for Zenith-Stromberg rebuilding and tuning. 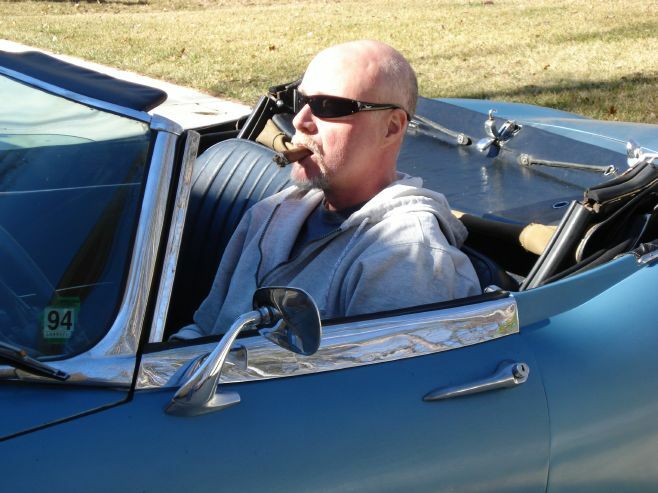 Because the car had sat in storage for years, the gasoline in the carbs turned to varnish. The Jaguar Z-Stroms carbs were totally disassembled and chemically cleaned. I spent hours carefully dissolving, lightly scraping, and cleaning the fuel bowls. Air passages were blown clear with compressed air. More cleaning, and then the carb rebuild kits followed. 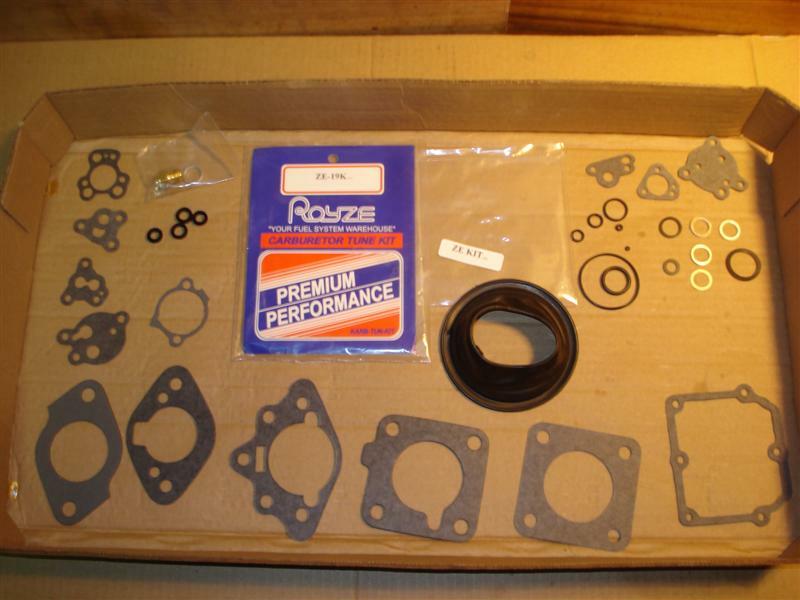 New gaskets, diaphragms, seals and o-rings were installed. 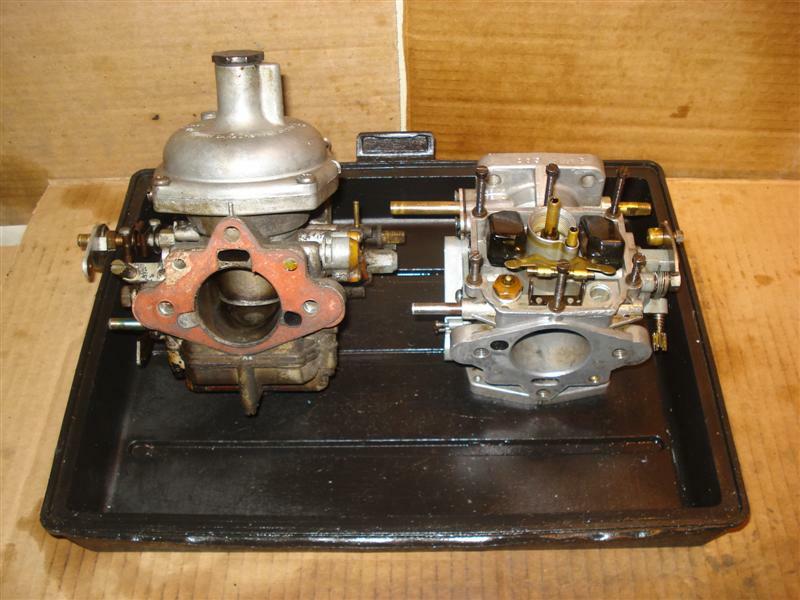 It's nice to have a second carburetor to use as a reference as you're disassembling the other, but keep in mind that front and rear carbs can be different from each other. 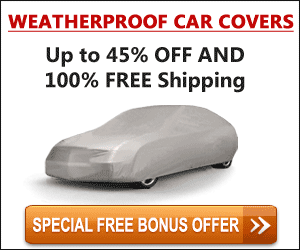 A typical leak starts after the car has been setting for many months. 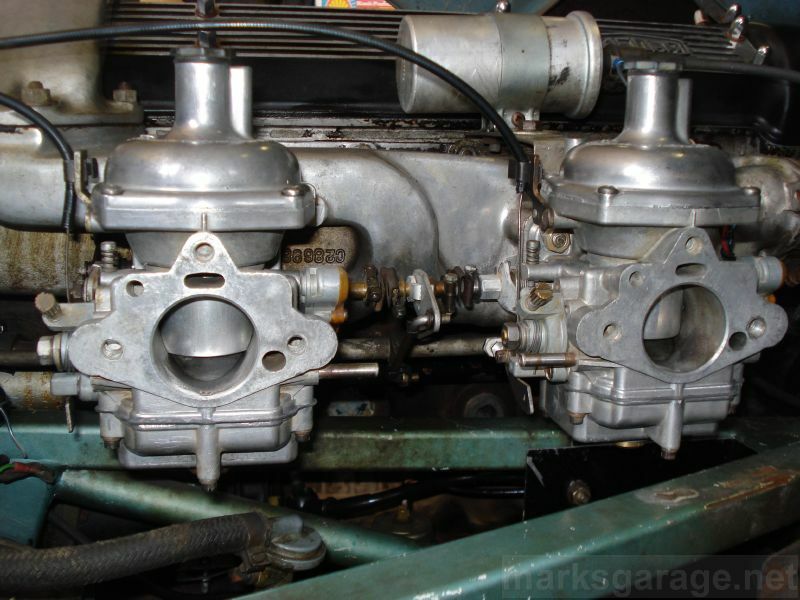 Fuel sitting in the carburetor evaporates, causing the float to drop and the valve to open. Another cause of leaks is the needle valve not closing when the chamber is full, allowing it to overflow. Also check the float chamber gasket and the O-ring around the sealing plug in the bottom of the chamber. There is a small star washer and screw that keep the assembly from coming out. Once the nut, washer and metering needle are removed, the piston is empty inside. Clean the inside and outside thoroughly. The new O-ring sits on the needle adjustment screw. The replacement O-ring should be made of Vton, which holds up better to oil than conventional rubber. Upon re-assembly, note that the piston has an alignment tab and groove. The inside rim of the diaphragm has the matching tab. Making sure you don't have it upside-down, line up the indents to correctly seat the diaphragm. 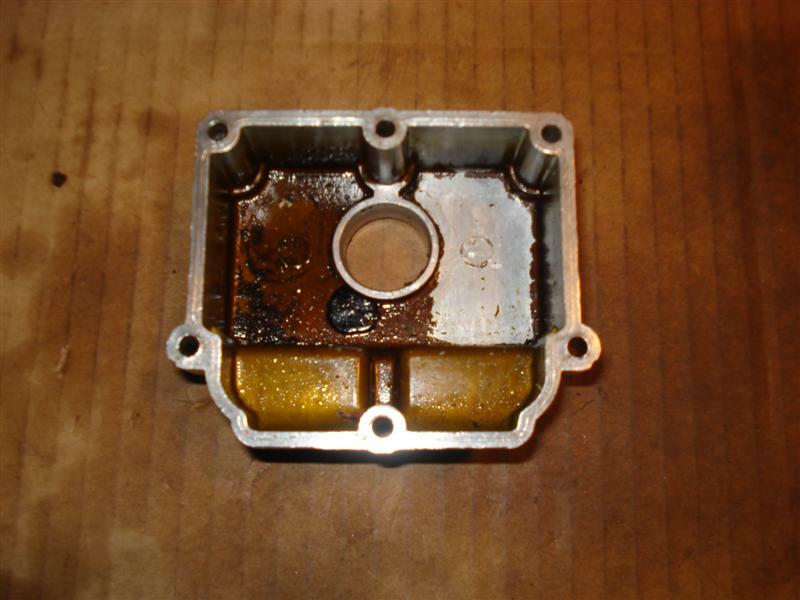 To prevent erratic and sudden movement, a small amount of oil sits in the carburetor dashpot to dampen the piston. If there is no oil in the dashpot, the engine may be difficult to start. The engine will probably not accelerate quickly, because there is no enriching during increased load (accelerator pump function). It may also cause a lean stumble and accelerated wear. Conventional engine oil can be used. You cannot overfill a Zenith-Stromberg carburetor with oil.